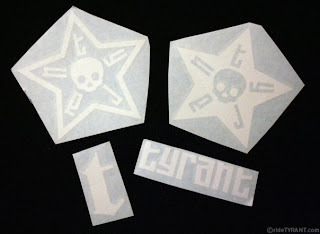 I made the first round of new vinyl decals last night and they came out mint! There are 4 different graphics all currently available in white. In the near future there will be more colors available and a few new graphics as well. These are going to go super fast...I already have numerous requests, so contact me sooner than later if you want to get your hands on a few of these!